Can Rohit Sharma's unique streak help India win Asia Cup 2018? With Virat Kohli rested for the 14th edition of the Asia Cup after a gruelling Test series in England, Rohit Sharma will lead India as they look to make it back-to-back Asia Cup titles when the tournament begins in the UAE on September 15. Although the absence of Kohli gives an upper hand to the favourites of the tournament, Pakistan, Rohit has a unique track record, which if it holds true, will help India clinch consecutive Asia Cup titles. In all of his first assignments as captain for a team, whether it is a maiden series or a tournament, Rohit has come out on the winning side. Rohit Sharma made his IPL captaincy debut for Mumbai Indians during the IPL 2013. MI's former captain Sachin Tendulkar resigned from the captaincy just ahead of the tournament and that meant that Rohit was named the skipper. In his captaincy debut in the IPL, he led Mumbai Indians to their maiden IPL triumph, as they defeated the Chennai Super Kings by 23 runs in the final. Even before that, Rohit Sharma had won the 2013 Champions League T20 as the captain of Mumbai Indians, leading the side to their second CLT20 title. The Rohit-led MI side emerged as the winners of the tournament after beating Rajasthan Royals by 33 runs. That is far from the end of the chapter though. 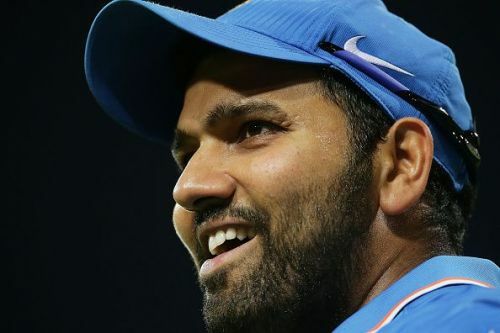 Rohit Sharma also managed to win his maiden ODI series and T20 series as a captain, both of which were against Sri Lanka. Rohit not only led India to series victories in the absence of Kohli but also led the team from the front as he finished the series as the leading run scorer. India won the ODI series 2-1 and whitewashed the Sri Lankan side 3-0 in the T20I series thanks to the brilliance Rohit and Yuzvendra Chahal. In the Nidahas Trophy earlier this year, Rohit won his maiden tri-series as captain as he led India to victory over Bangladesh in the final. These feats show that Rohit has the habit of winning his maiden tournament or series as a captain. So, can India win the Asia Cup 2018 under Rohit Sharma, which will be his first major tournament as captain? Only time will tell.